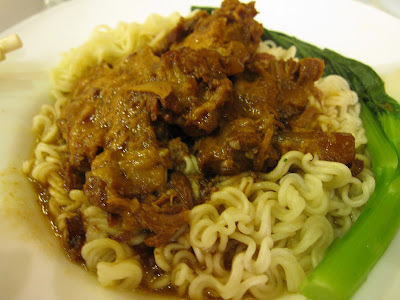 I loved this very simple-yet-delicious dish, the soft-boned pork meat noodles. 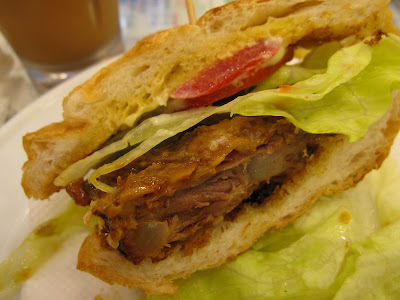 It was flavorful, the pork was so tender with almost melt-in-the-mouth texture. Yummy! Of course, we liked their extensive menu, from the HK local delicacies, to world-wide famous food, they even served Singaporean Hainan chicken rice, Italian pasta dishes, and other Western meals. Most of all, the prices were affordable to most people, even at their prime located outlets. 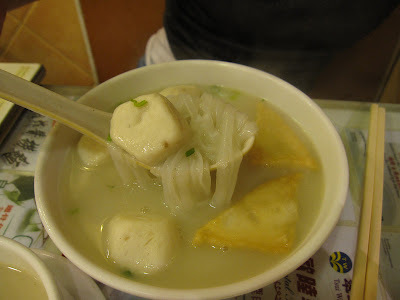 I had the famous handmade fish balls with flat rice noodle (Kway Teow). Noodle was silky smooth in the palate, but don’t expect bouncy fish balls like what you get in Singapore, Hong Kong style fish balls were more on the dense textured. Nonetheless, I liked the size of the fish balls served. Taste was decent, too. Don’t miss this soft-boned pork bun, too! It was in huge portion, share it if you couldn’t gobble the whole bun up. 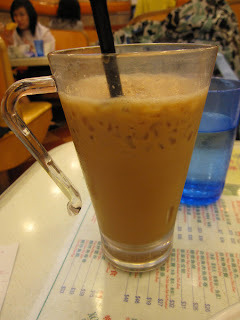 Of course, iced coffee mixed with tea (冻鸳鸯) had to be one of the drinks. 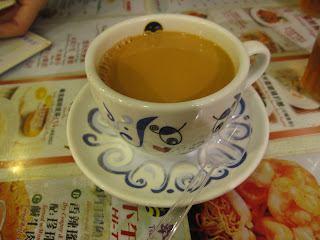 As for me, hot drink was my first choice, especially in cold weather, I loved the silken milk tea. Thick and smooth consistency which soothes my throat and warms my body, just a cuppa! Try to avoid lunch and tea time, if you are not prepared to share table with strangers. Needed much narration, you would probably know what to order here. As for us, we loved these few items!